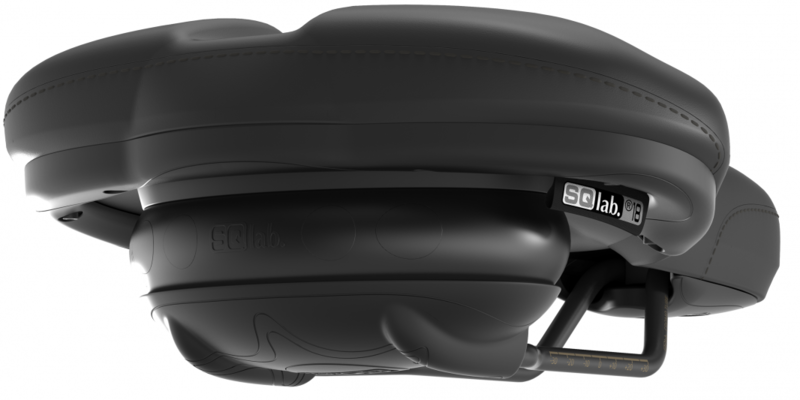 The new 621 ERGOLUX® active, the perfect City and Comfort saddle. 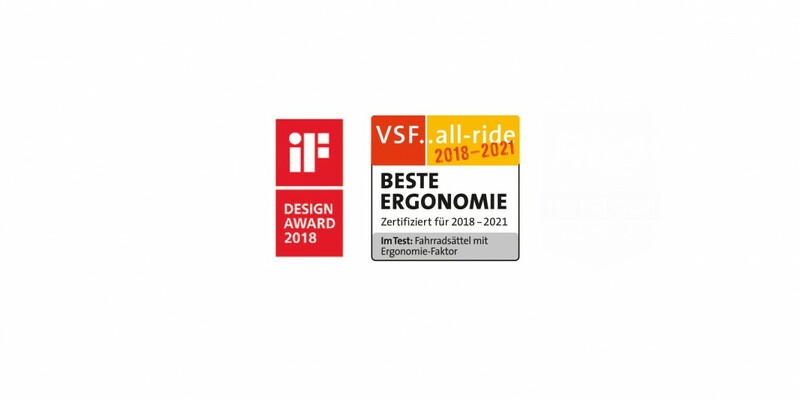 Compared to the firmer performance ERGOWAVE® models, the 621 ERGOLUX® active offers greater padding volume which makes for softer feeling foam. 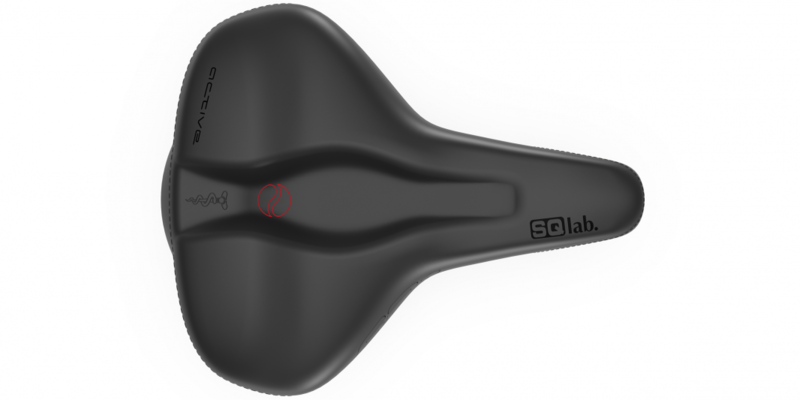 The dual waves make the supporting surface significantly larger than before, keeping the sitbones from sinking less deeply into the seating area. As a result, the ERGOLUX® does not have the disadvantages that normally come with softer foam. 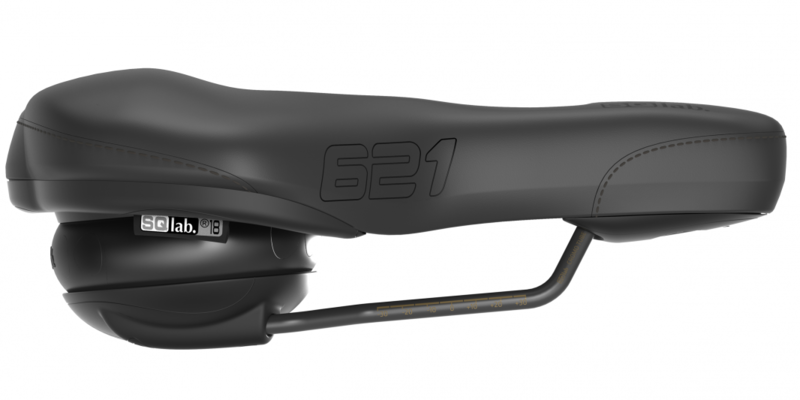 The first level accommodates the rear part of the sitbones offering perfect support for improved force transmission onto the pedal. The second level ideally accommodates the unburdened ischial rami, thereby ensuring the best-possible pressure distribution. Due to the saddle nose sitting lower, the perineal and front area of the pubic bone and pubic arch have more free space. 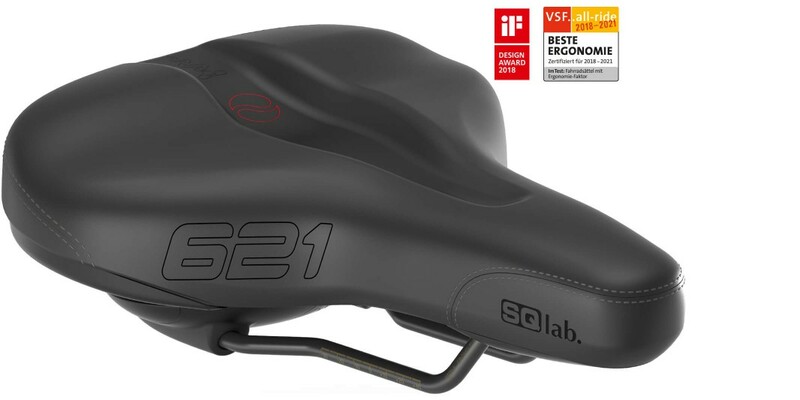 Thanks to the proven SQlab active system which allows the saddle to follow the pedaling movements of the rider, comfort is increased, less strain is placed on the inter- vertebral discs and pressure on the sitbones is further reduced. 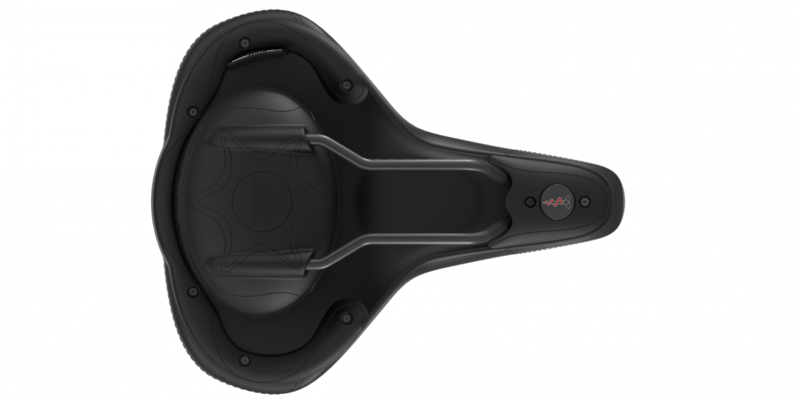 The flex and active movement can be adjusted to the body weight with the comfort sticks in the active dampener. 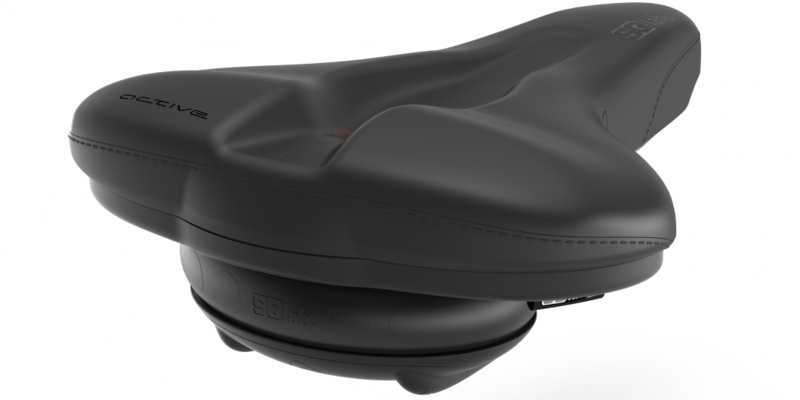 Available in saddle widths 18 & 21 cm.